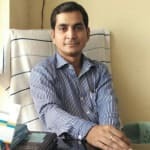 Dr. Dinesh Kelkar is a trusted Physiotherapist in Pratap Vihar, Ghaziabad. He has had many happy patients in his 16 years of journey as a Physiotherapist. He is a qualified BPTh/BPT . You can consult Dr. Dinesh Kelkar at Dr. Kelkar Physiotherapy Centre in Pratap Vihar, Ghaziabad. Don’t wait in a queue, book an instant appointment online with Dr. Dinesh Kelkar on Lybrate.com. Lybrate.com has a number of highly qualified Physiotherapists in India. You will find Physiotherapists with more than 36 years of experience on Lybrate.com. You can find Physiotherapists online in Noida and from across India. View the profile of medical specialists and their reviews from other patients to make an informed decision. I am having problem with my neck pain and discomfort from last 7 month and my life complete ruined visited 11 doctors till now still no solution that problem gave me many neuro problems moving sensation, heavynesness in face, muscle spam. I can't sleep on my right or left side if I turn my head that side for long time I am getting dizzy .after visiting good neuro all symptoms are gone but my neck pain dizziness still continue I can't work on computer more time doctor said my shoulder neck muscle are weak they give muscle spasm .they taught me some exercise but I am not getting healed complete y whyy. Have you take any pillow if yes than remove it because in your age only postural problem are there. Apply ice on stiff area. Meri wife ki foot ki airiyo me kafi time se problem hai vo jab tak cream ya oil lagati hai tab tak thik rahti hai phir jaise jyada chalti hai to phir uski eidiyo me pain shuru ho jata hai vo abhi coytril cream use karti hai jisse use relief milta hai isse achi koi medicine ya cream ho to bataye please. She is use coytril cream please tell us better treatment for foot. Aap unko garam thande pani ki sikai karaye 3min garam pani me uske bad 1min thande pani me 20 min karna hai aur unhe silicon insole pahnaye shoes me. I have been suffering from knees pain the joints from last 2 years. I have tried few doctors but the pain comes up again. I am not involved in much physical work. Please suggest accordingly if any work our , exercises needed. First you have to examin by any physiotherapists and find out the diagnlsis that what is the reason of pain. I am 45 year old man. I constantly feeling back pain in lower portion of body, need some advise, As I am a supervisor of cattle farm and working. Hours also day to night ie around more than 12 hour, I thank full to you for providing me suitable guidance. Mr. It may be postural problem but you take some rest and ice pack to your lower back for 15 min than tell me the result.